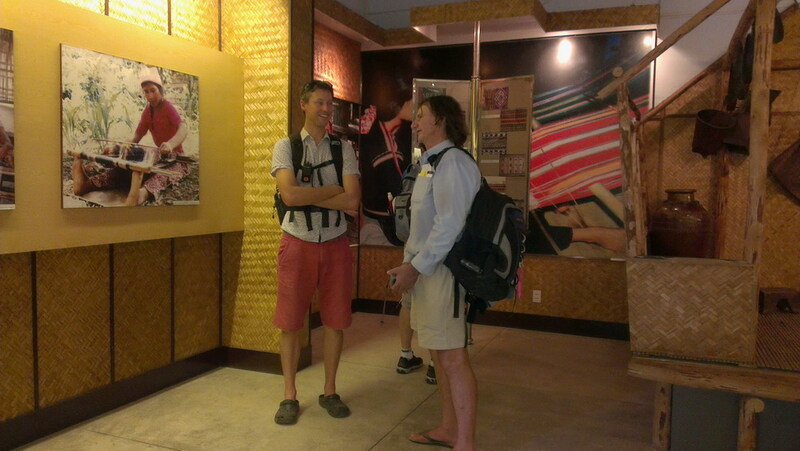 The exhibition, which opens until June 30 and for free at 202 Vo Thi Sau Street, District 3 has attracted foreign visitors on the first day (April 7). Another exhibition is being held at the same place to honor Vietnamese women’s contribution to the country’s workforce. 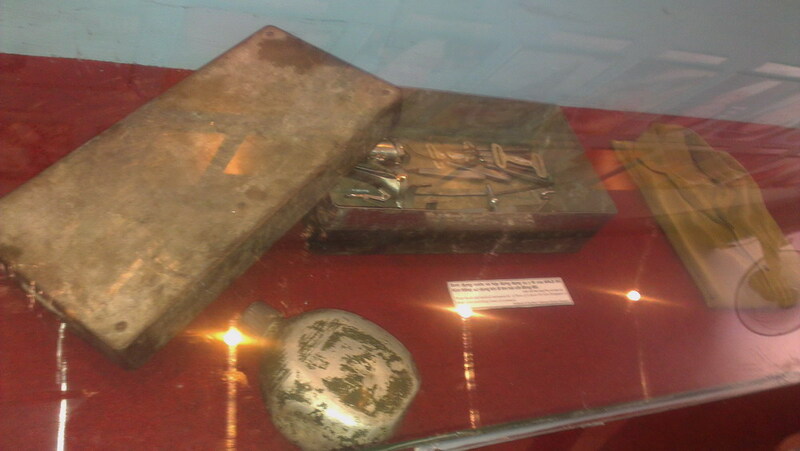 Water bottle and medical instrument kit that Labor Hero Do Kim Hong used when searching for the remains of her comrades who died in the Vietnam War. 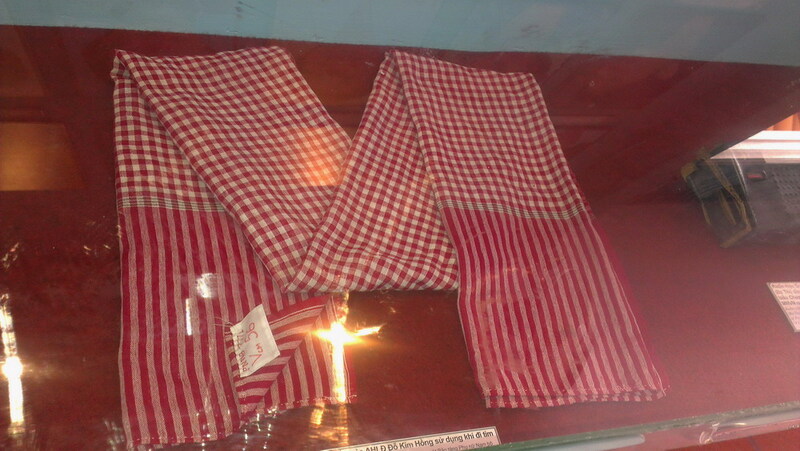 A scarf that Hong used in her searches for the remains of her comrades. 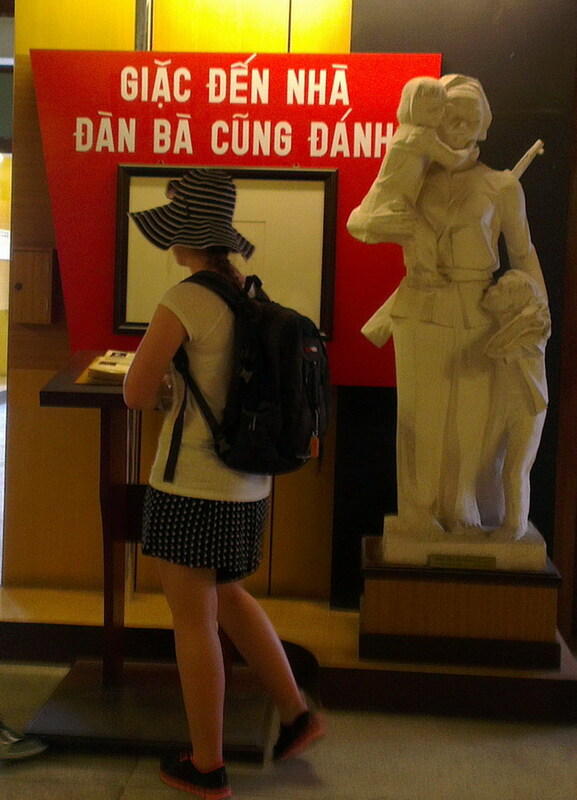 Besides the items, the museum also display hundreds of photos, keepsakes of Vietnamese female soldier who migrated from the north in 1959 to fight for the south’s liberation in a hope to find them or their relatives. A foreign woman watching an item at the exhibition, placed near a statue of a mother armed with a gun while caring her two children and the slogan that reads: The enemies arriving at our home, even women will fight. 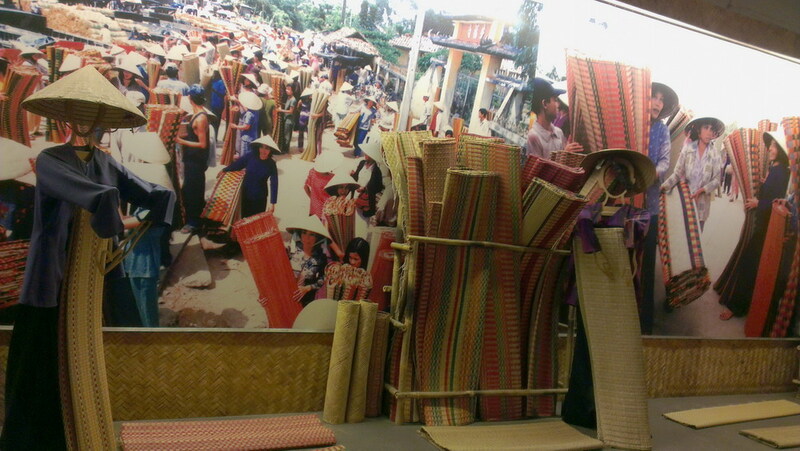 Mats displayed at the exhibition to honor Vietnamese women’s activeness at work.